To execute the overall event preparation, production and on-site management. 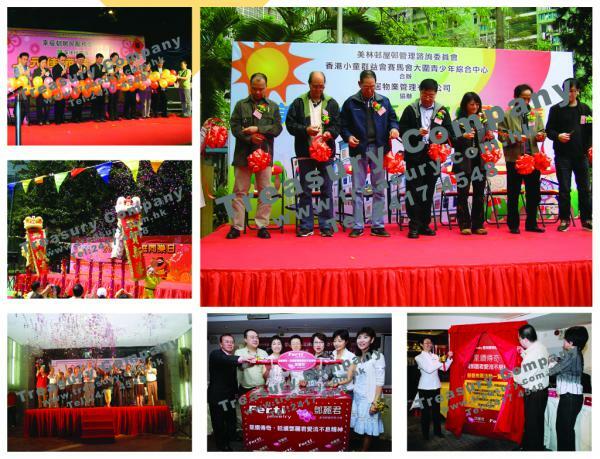 The concrete works include guest coordination, preparation of conference materials, production and decoration of event venue, promotion and registration, event management, guest dinner arrangement and management, and prepare evaluation report and presentation highlight content for the Symposium after the event. 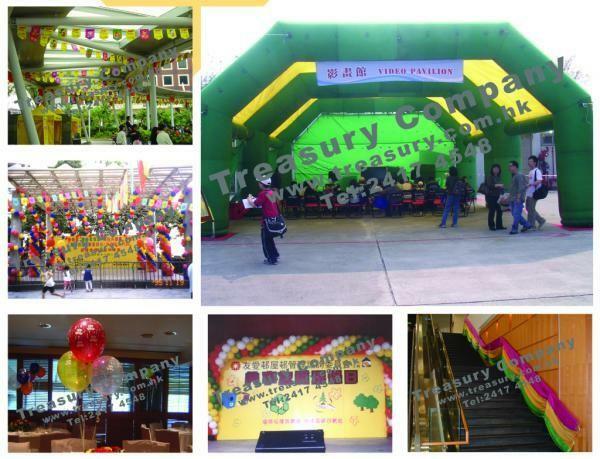 A large carnival event would include Stage and Walkaround Entertainment, Games, Handicraft, Snack & Sales Booth, Air Inflatable & Tournament and many other special activities. 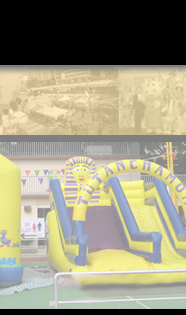 We provide one-stop Carnival arrangement. 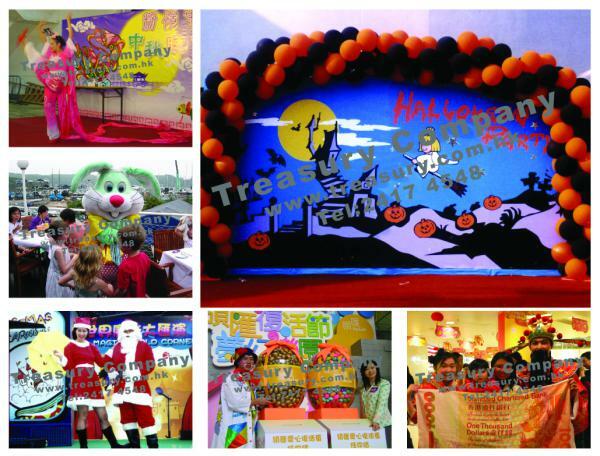 Apart from performance and activities, we also provided Stage, Backdrop, Sound & Lighting system, Booth and other equipment for setting up a carnival. 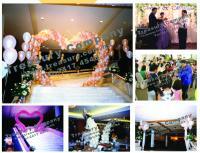 Our superior service should give all clients a best event. We provide stage and backdrop, sound and light, ceremony, advertising and souvenir production, venue decoration and equipment rental so as to offer one-stop service to your event. 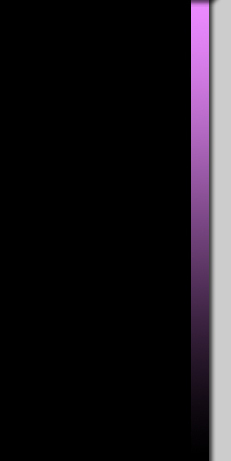 More information could be found in our engineering production brochure. 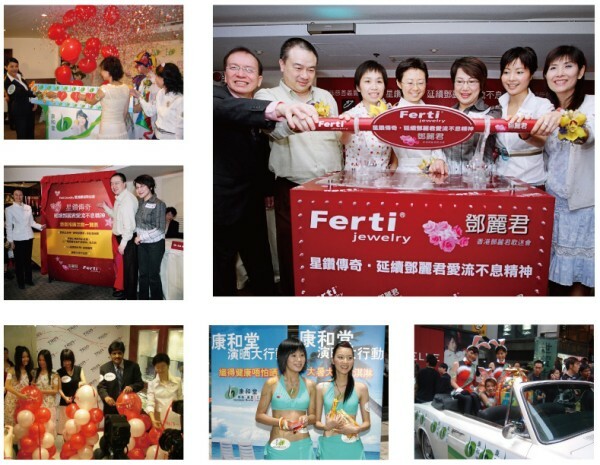 To attract more participants for parents’ seminars or promotion events targeting parents, clients can consider adding the supporting activities for children to increase the intention of parents to attend the events. Potential children activities include: ．Simple computer games ．Counter games ．Bouncy bed ．Handcraft workshop … etc. 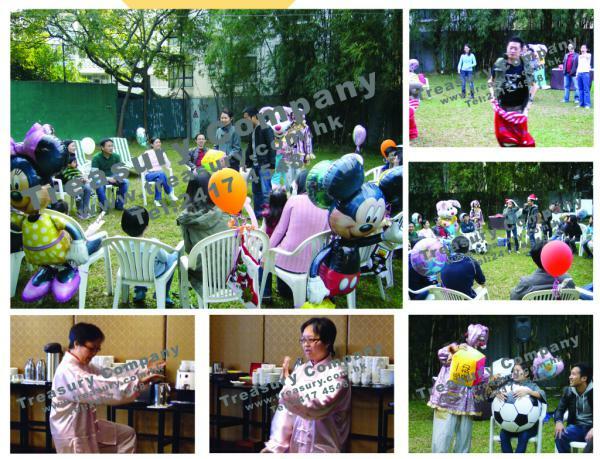 A Successful Company Party or Annual Dinner could be divided into many parts include pre-dinner entertainment such as cultural art, game booths and walkaround performance. A M.C. will lead the event from the beginning of the dinner. 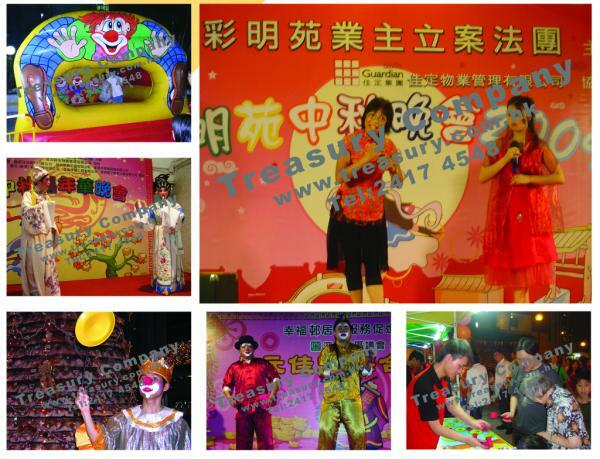 Apart from opening ceremony, lucky draw, fun games, stage performance, your boss can also appear and give out a speech by using some special magical method to increase atmosphere. 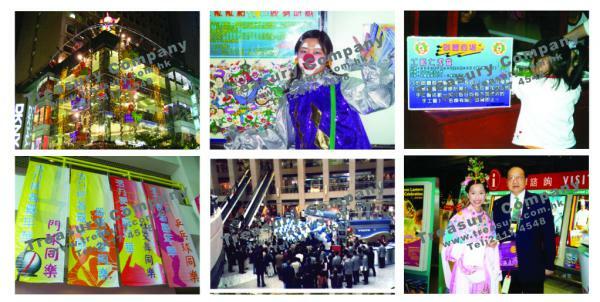 ．good for brand building, shopping mall promotion or any other community activities. ．easy to arouse public awareness ．access the target customers directly. 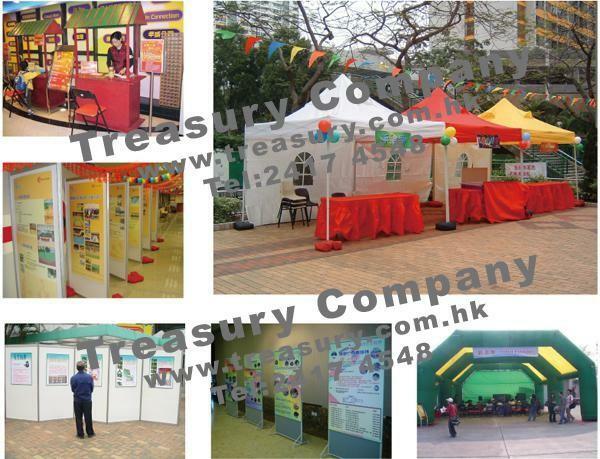 We provide Exhibition Equipment Rental Services include exhibition booth, penal, showcase, Backdrop and ...... For more information, please see our exhibition service catalog. For any Fun Fair event especially in large open area. Booth setting is a must! We can arrangement many visual effects & gimmicks for any opening ceremonies or product launch. 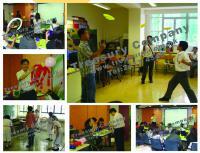 To let parents and students knowing more about the school is the mission of arranging a school open day. Other than visiting, it’s very important to let the parents and students enjoying a memorable day. So, many schools will arrange some activities for children like bouncy, magic shows, clown balloon and booth games, etc. 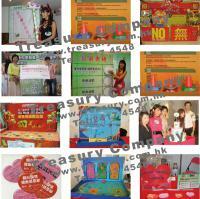 so as to display the multiple cultural and organization power. 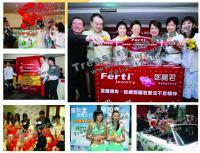 For the open days of institutions and organizations, they are mainly targeting on families. 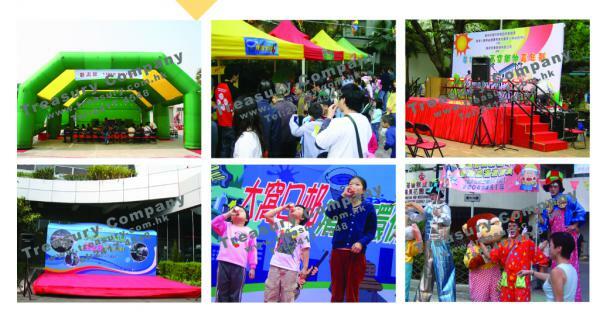 With a large event site, the content of the open day will include: decoration, stage, sound and lighting systems, on-stage and on-site programs. 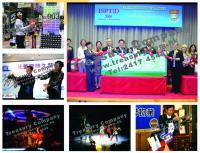 On-stage program will mainly suitable for all types of audience. 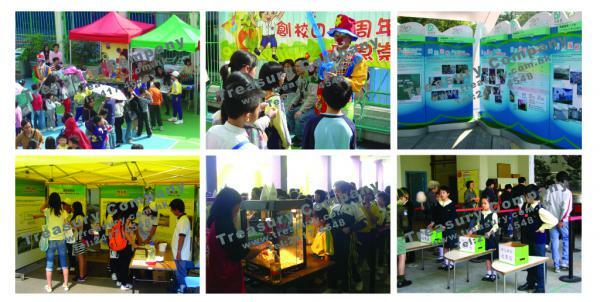 On-site programs may include bouncy, the little engine, and some street performance and booth games. Graduation ! 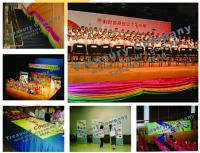 Parents and students gather together in a hall to witness the finish of an academic stage. It will include a simple but impressive ceremony. Some performance maybe arranged. ．Games day Playing games are not only the right of children. It can also develop their personal potential abilities. 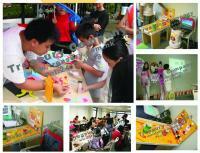 Planning a games day as a communication platform between parents and children can encourage the harmony of family. 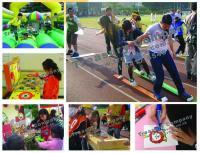 Through the various games, children and parents can gain positive meaningful, positive messages from the event. ．Tournament day Just like a mini sports day. 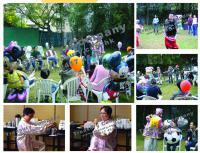 The event can develop the team spirit of participants, thus enhance the morale and team relationship. 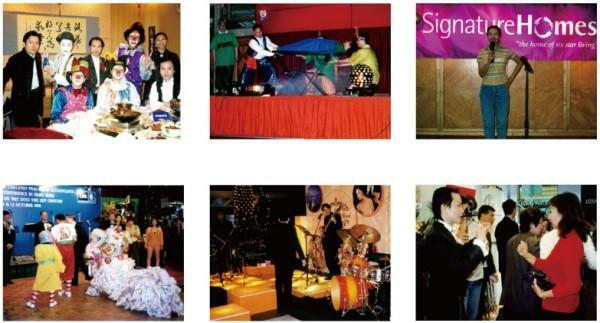 We have 20 years creative experience in performing arts, including consultation project of magic shows for stars, TV stations, radio stations and concerts. 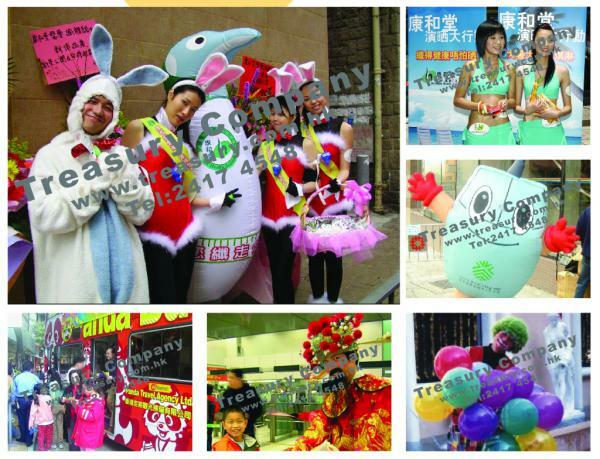 Also, we are experienced to design theme shows and trade shows with magic performance for brands, corporate and shopping malls. 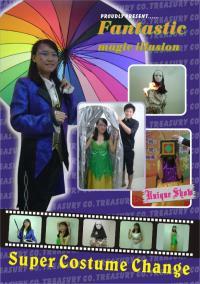 Your products, concepts and innovative ideas can be demonstrated by magic tricks. In order to get a memorial wedding party. 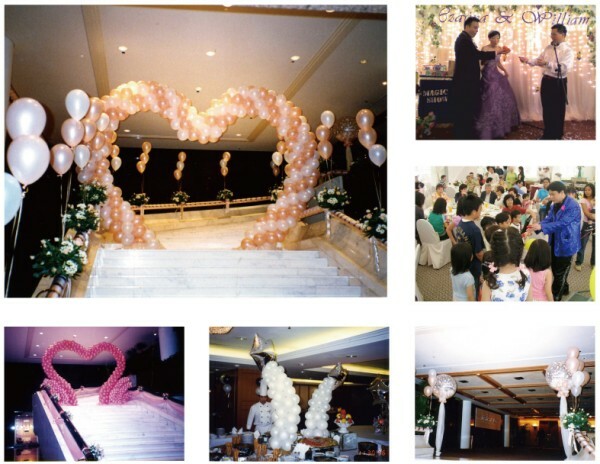 We can arrange not only the wedding decoration, but also the entertainment services for any unique parties and ceremonies. Having a happy, surprising and unforgettable birthday party is the dream of every kid or parents. 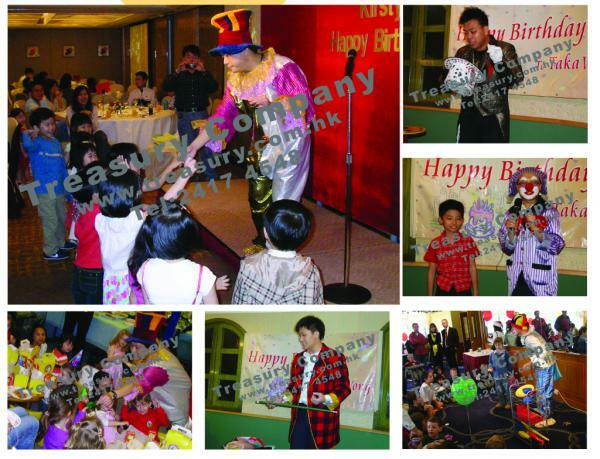 Except a birthday cake, delicious buffet and plenty of gifts, a funny entertainment is a must for illuminating your birthday party. For all walks of life in order to arouse the personal potential talent. 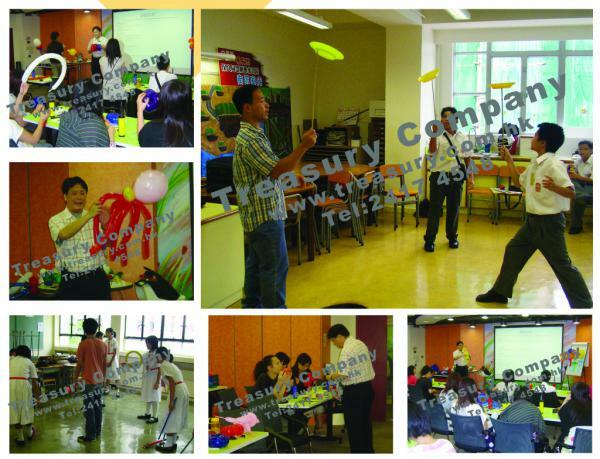 Through some tailor-made activities, like magic, juggling, Kung Fu, semi-lecture, semi-games arrangement, especially in between the informal meeting time, members involved can create more team spirit while joining those activities. For various main festivals, shopping malls can increase the traffic via organizing festival activities. Estates can also enhance the sense of belonging of residents, increase the family and social connection via those festival activities. 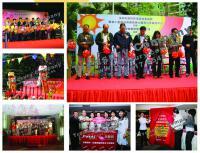 ．Lantern Festival Lighting facilities are necessary for outdoor event. Lighting decoration, the riddle and booth activities are the main activities. For the event with larger scale, some performance will be arranged. 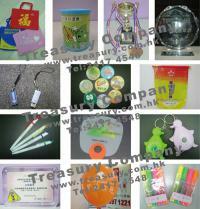 ．Mid-Autumn Festival Sun lamps and lighting in canvas are needed for outdoor sites. 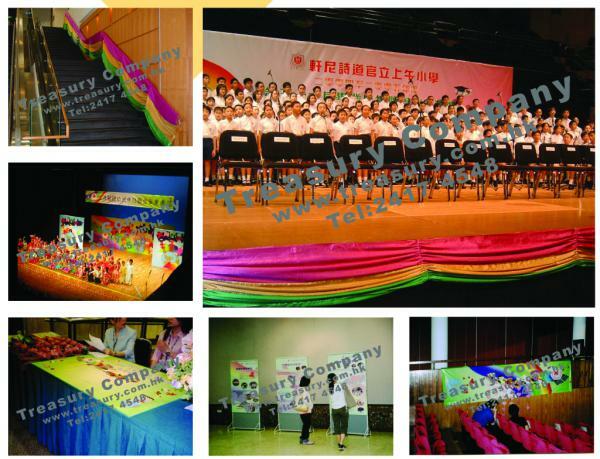 Stage, sound & lighting systems, decoration, booth games, riddle, snacks, bouncy and performance on-stage are necessary for the event. Professional photo and video taking With outstanding event organization, institutions also need professional support in photo and video taking. 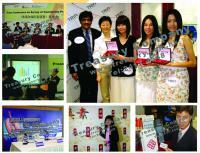 It will help clients to keep memorable frames for personal recollection or official reference. 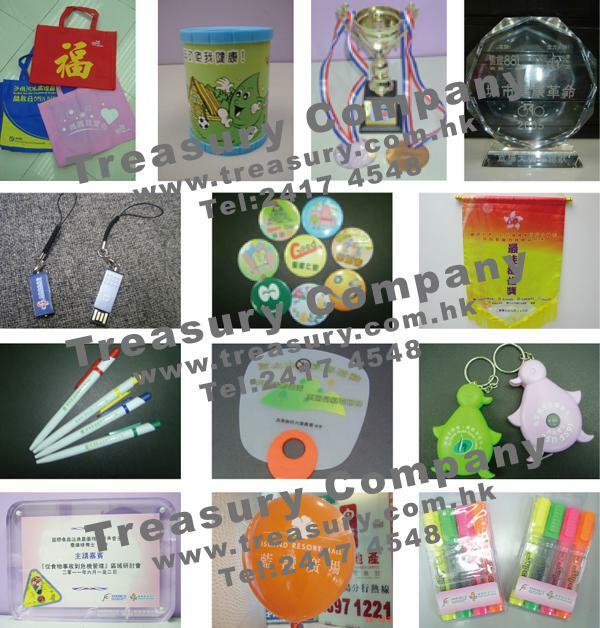 We can produce tailor-made souvenirs or trophys with client logos or messages. 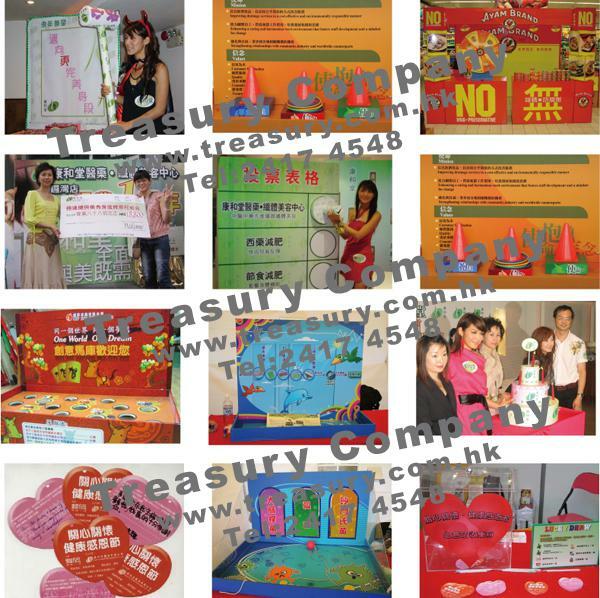 Tag theme props are always necessary for the press conference and theme event, we have own warehouse to produce tailor-made props.